The Spring Bursting Forth bouquet blooms with springtime charm and wonder, offering a beautiful expression of your sweetest sentiments this Spring season. 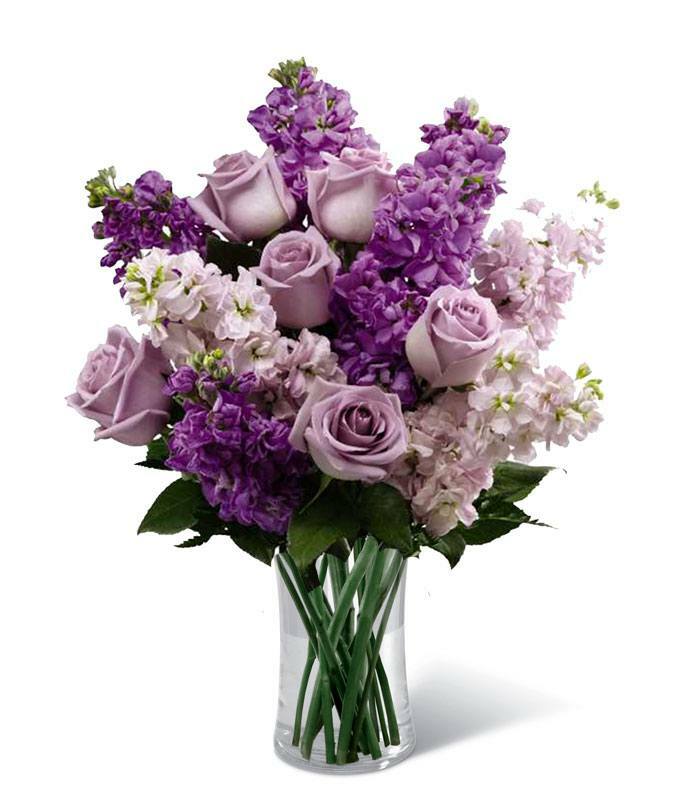 Lovely lavender roses, lavender stock, and pink stock are accented with a variety of lush greens in this amazing floral arrangement. Presented in a glass vase, the bouquet is a wonderful gift to help celebrate an anniversary, a Spring birthday, or just because.